Phentermine is a prescription drug used to treat individuals classified as having obese weight problems. It first appeared in the late 1950s and was recognized by the FDA (Food and Drug Administration) at that time as a successful remedy to the problem. It is a powerful appetite suppressant that is best used in the short-term only. Short-term use (no longer than 12 weeks) is recommended because of its addictive properties. Phentermine is the generic name for the prescription and this diet pill should be used only under a doctor’s care. It has shown to be successful when used as an appetite suppressant for short-term weight loss. It works by tricking the hypothalamus (region in the brain that controls appetite, among other functions) into believing you have just eaten and are full. Therefore, there is no need to eat more. The basic goal of Phentermine diet pills is to help you adjust during the first 12 weeks of a diet to eating better, eating less, and exercising more. After your short-term “get acquainted” use of these diet pills, you need to be prepared to continue the diet on your own to experience further results. It is recommended for those with a BMI (Body Mass Index) of 28 or greater. 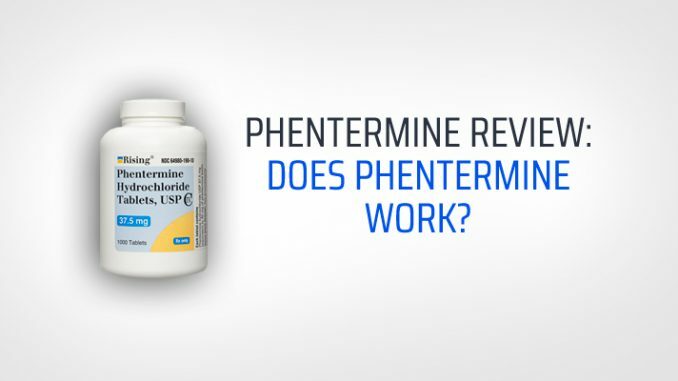 Phentermine works successfully as a short-term appetite suppressant and weight loss mechanism. It has been approved for use when prescribed by a doctor. The average dosage is 30 mg. a day, although doctors may start certain individuals at the lower dosage of 15 mg. a day. The active ingredient in this diet pill is Phentermine Hydrochloride. it is directed only for use with patients experiencing obese weight problems for a short period of time. This pill can cause a rise in blood pressure and heart rate, and, therefore, the patient needs to be monitored by a doctor. Some side effects are normal, especially within the first week of taking these diet pills. These diet pills should not be taken by persons having a known history of heart, kidney, or liver disease, or those with anxiety problems, glaucoma, high blood pressure, thyroid problems, or diabetes. Also, it is not recommended to be taken if you are taking MAOI inhibitors to treat depression. Phentermine diet pills work great for the purpose they were designed for, and they have helped many people with severe weight problems to get control of their lives. Users who reviewed these diet pills reported a high rate of success with their weight loss goals with help from this diet aid. It should be taken on an empty stomach either before each meal or 1 to 1 ½ hours after each meal. Because it can disrupt sleep patterns, it is recommended you take your last pill of the day before 4:00 p.m.
Take this diet pill only as directed. It is very important not to exceed dosage recommendations. Do not break, crush, or chew the pill; swallow it whole. If you miss a dose, do not take double the next time. Used properly, Phentermine diet pills can give you a helping hand toward succeeding in your weight loss goals. It is considered one of the best diet pills in its class.